As Vice President of Measurement, Ryan Kanterman oversees client success for NinthDecimal’s measurement solutions. Every day, he helps clients measure and attribute incremental foot traffic to their advertising campaigns through NinthDecimal’s proprietary LCI™ measurement platform. 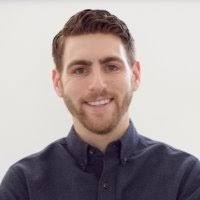 Ryan’s expertise in big data, location advertising, and the mobile advertising ecosystem is complimented by his innate ability to listen to clients and provide innovative solutions. Prior to his 8-year tenure at NinthDecimal, Ryan worked both client-side and agency-side, notably at Silverjet Aviation, McCann Erikson, and Ogilvy & Mather. Digital signals have a place in measuring campaign effectiveness, but foot traffic delivers a new level of insight. Even as the industry moves to adopt new technologies to understand consumers' offline response to ads, there is confusion and misinformation about location-based measurement solutions.